← Let’s Taco ‘Bout It! 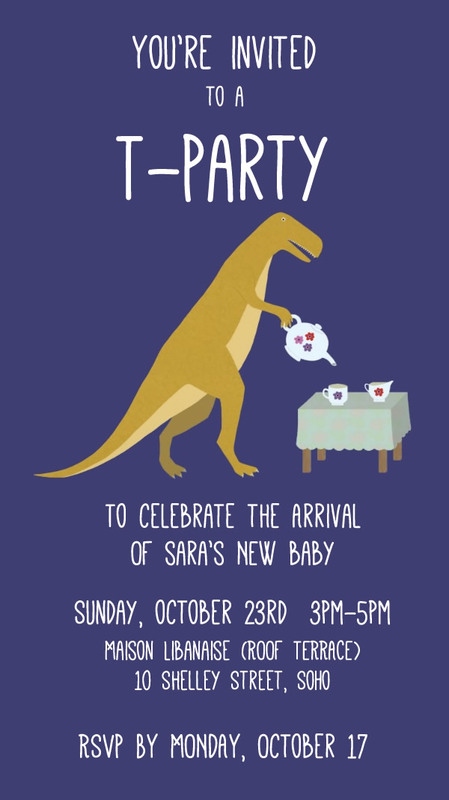 I wasn’t sure I was going to have a baby shower for my second baby, coming this November. But then I saw an adorable T-Rex tea party that just stole my heart. I had to do it, even if it were much more simple and streamlined than the baby shower for East. Between a toddler, being pregnant, moving apartments, our nanny being out of town, and a busy time at work, I needed it to be easy. I found out one of my favorite lunch spots had a rooftop terrace, so it worked out pretty well. We had 2 typhoons that week, so I was sweating over the weather that week (the inside option was definitely not as good). We lucked out that the typhoons had passed, so we just sweated outside. It did cool down a bit at the end of the party, but I drank a lot of water that evening! We sent out the invites via What’s App and Facebook, to make life easier. Although that did create an interesting challenge, as it was hard to make clear who was invited (I was looking for a ladies only tea party). It was tough for mamas with babies but most made it work, which meant the world to me. 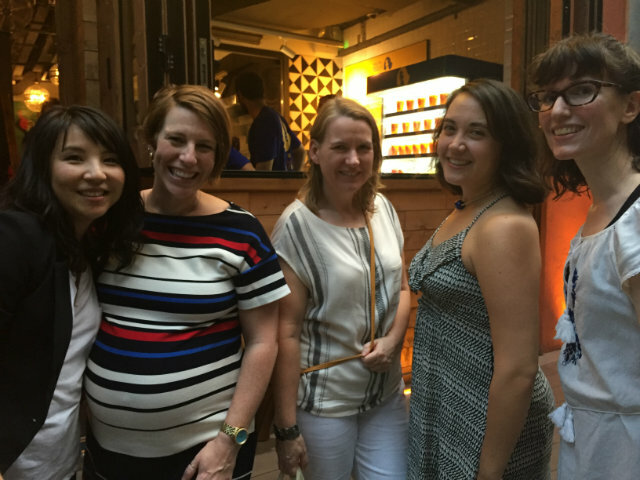 I didn’t get a ton of pictures– and hardly of any guests– but hopefully you can get an idea of the fun we had. 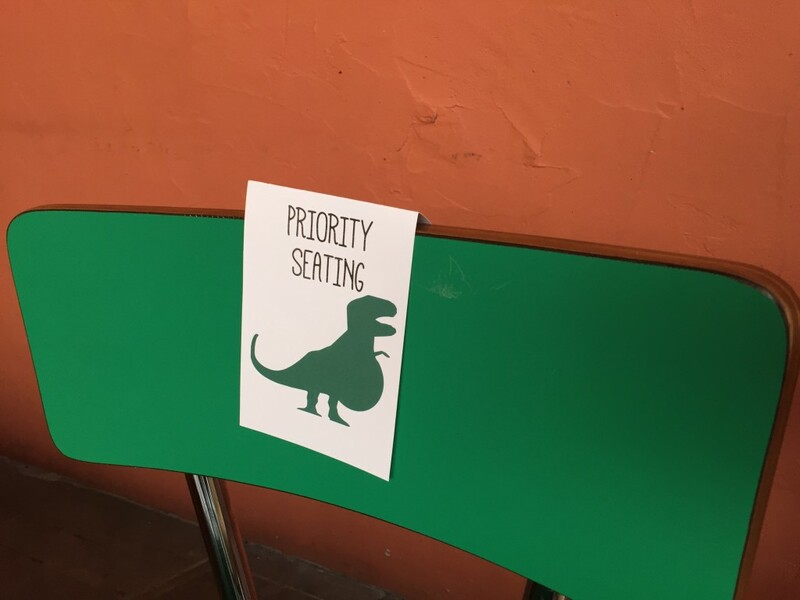 Since most of the seating was bench seating, I asked the staff to bring up a couple of chairs for myself and the other pregnant ladies that we attending. 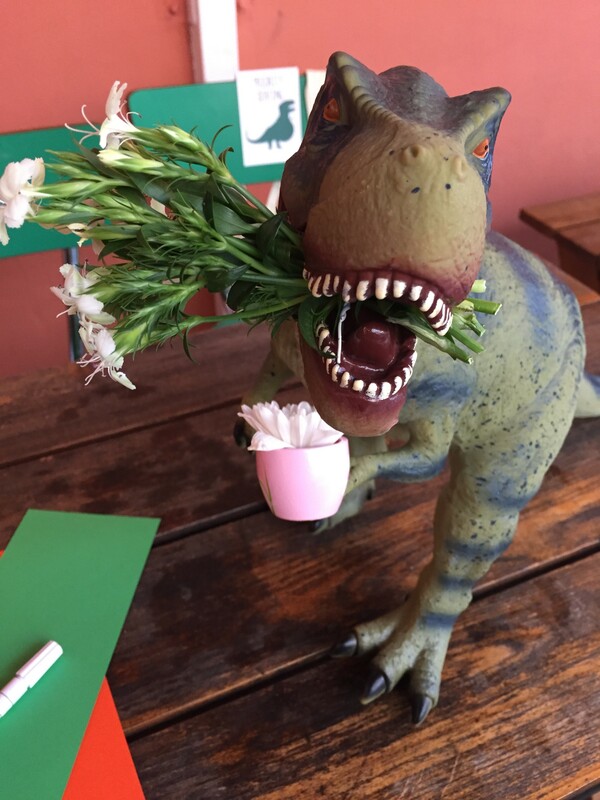 I found two large T-Rexs (it was surprisingly hard to find specifically Tyrannosaurus Rex), and gave them one of my daughter’s tea cups, and added flowers, to make them less scary. 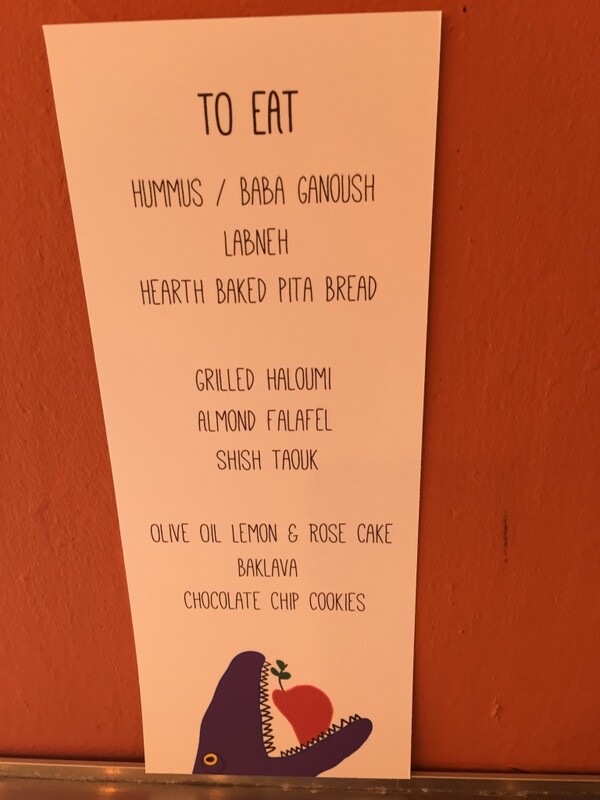 Food menu, of yummy Lebanese food (and interestingly some of the best chocolate chip cookies in town!). No pictures of the food- what’s wrong with me?! 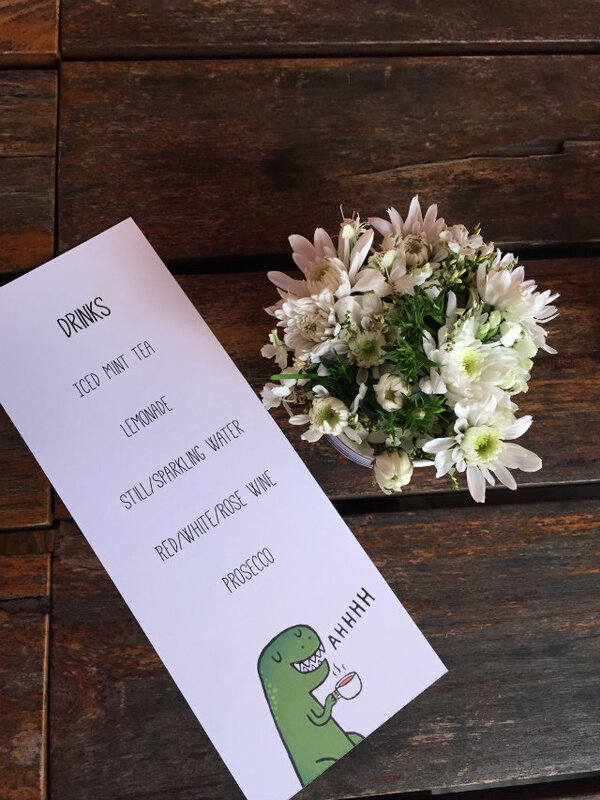 Drink menu– cold drinks only for this overheated mama! If you remember, last time we had iron-on onesies. 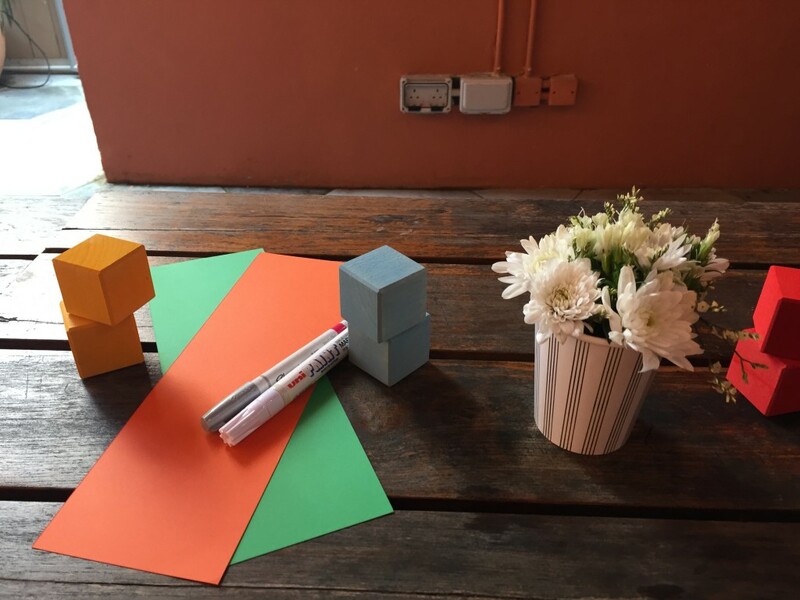 This time we had draw on blocks, which turned out really cute! And these were the guest take- aways from the party. The bags were from etsy (always sweating if they will make it to Hong Kong in time! 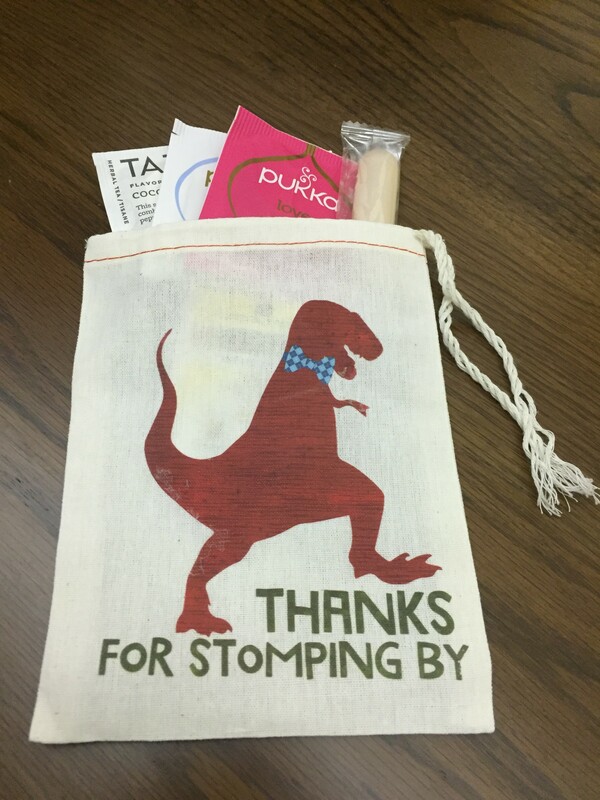 ), filled with a tea sampler and a cookie. These pretty ladies were amazing guests and even helped us get into a taxi. Overall, it was a great event, and I’m so glad I decided to do it. The company was amazing, and I felt so loved. I’m getting excited for this baby! 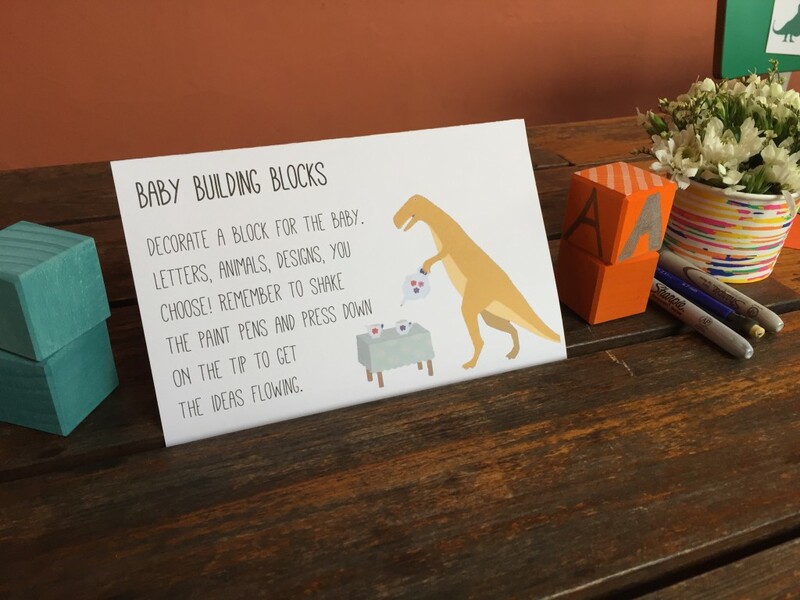 This entry was posted in Baby, Celebrations, Decor, DIY, Uncategorized and tagged baby, baby shower, boy, dino, dinosaur, t-rex, tea party. Bookmark the permalink. What a wonderful idea. Glad you had the shower to provide some fun! Wish I could be there to help. We’re eagerly waiting for #2. 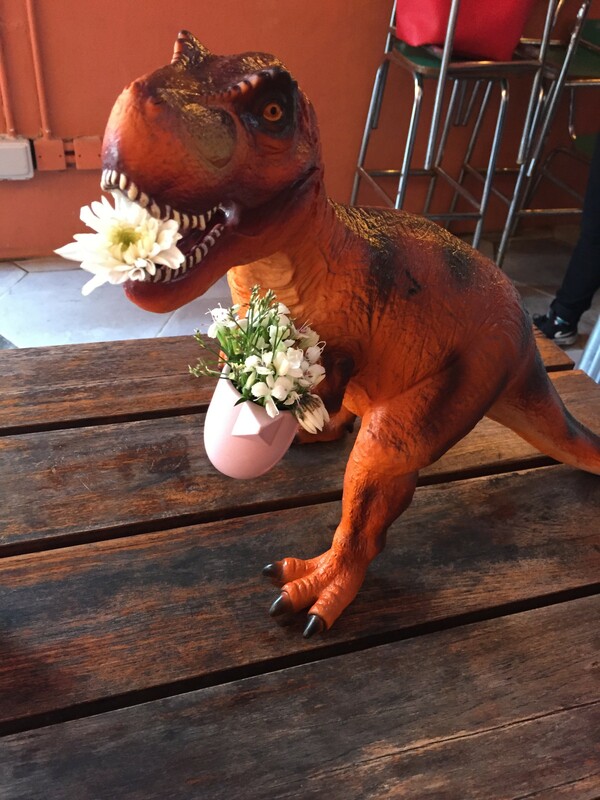 The T-Rex w/ flowers reminds me of Rex from Toy Story.